Question on LinkedIn forum: Jigsaw as a tool – Has anyone had luck with using Jigsaw for connecting with HR professionals or hiring managers directly? 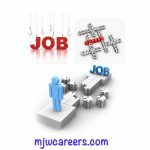 Is it OK to use Jigsaw in conjunction with a job search? Me: Sure! When you need to research key information about a potential employer. When a job seeker is targeting employers, I tell them to use what they can to find a name at the organization within their respected department and get their resume to them as well as HR’s ATS. Poster: Thanks Matt. I was just wondering how people feel about being contacted personally about a job. Do they get annoyed that someone didn’t just “apply through the website”? Me: Certainly in some cases, however, I have been in a recruiting position and a hiring manager approached me at my desk in my HR department holding a resume saying, “I want this person” and we go about setting up the IV, implementing into ATS, etc…but if you’re a good candidate, they won’t get annoyed if they’ve been looking for you for some time.